SCAI THE BATHHOUSE | News | Anish Kappor: EYE OF GYRE "Concept of Happiness: Anish Kapoor’s outline of collapse"
Anish Kappor: EYE OF GYRE "Concept of Happiness: Anish Kapoor’s outline of collapse"
Anish Kapoor solo exhibition 「Concept of Happiness: Anish Kapoor’s outline of collapse @ EYE OF GYRE」will be held at EYE OF GYRE from 20 October. "Why does humanity become more barbaric even as it becomes civilized?" In our globalized modern society, the themes of "civilization" and "barbarism" present aspects that are too complicated to be reflected in political or philosophical ideology. And there has never been a time when art, with its ambiguous approach, is more required to play the role of shedding light on the conflict between civilization and barbarism. 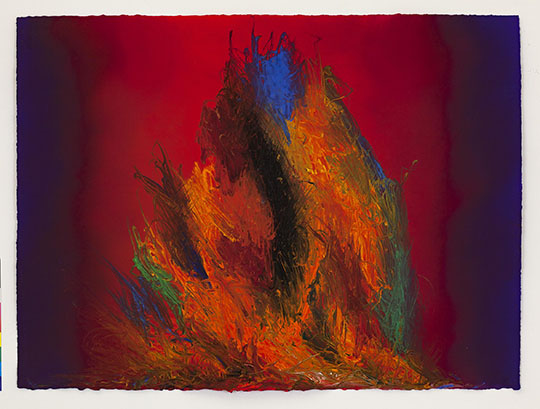 In this exhibition, we introduce the latest works that represent new territory for Anish Kapoor, which he has turned into art using diverse skills and intellect and without considering "civilization" and "barbarism" as a confrontation. All of the works are getting their world-first showing at EYE OF GYRE.